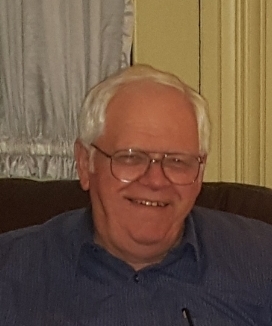 Larry A. Landis 74 of Lancaster, Ohio passed away Wednesday, April 3, 2019 at Fairfield Medical Center. He was born in Lancaster, Ohio on August 1, 1944 to Raymond E. and Cora Marie (Green) Landis. He retired from Diamond Power Specialty Corporation as a Product Configuration Engineer with 47 years of service. Larry was a devoted husband and a loving father to all of his children, grandchildren, and great grandchildren. He was a very active member of First Baptist Church and is dedicated to serving God and others. He loved playing golf, spending time with his friends and family, and teaching others about God. Larry impacted lives everywhere he went with his great sense of humor, kind and generous spirit, and his willingness to listen to other people and offer wise, godly counsel. He was always willing to lend a hand which earned him the nickname “Mr. Fix It.” No matter what the project was, he could fix it or would help fix it. 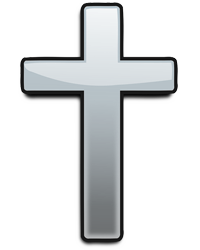 Larry is survived by his wife of 34 years, Judith Landis; children, Christopher (Julia) Landis of Lancaster, Ohio, Craig (Lisa) Landis of Centerburg, Ohio, and Brenda (William) Hoy of Lancaster, Ohio; grandchildren, Miranda (Aaron) Robbins, Conor Colburn, Margee (Zachary) Young and Kassandra (Brandon) Mitchell; great grandchildren, Gannon, Nolan, Braxton, Owen, Mira, Ayla, Dominic and Grace Elizabeth; mother, Cora Marie Landis of Lancaster, Ohio and uncle, Raymond Hite and cousin Ronnie Hite of Canal Winchester, Ohio. He was preceded in death by his father, Raymond Landis, son, John Robert Klinck and several aunts and uncles. Funeral service celebrating this humble and loving man’s life will be held Wednesday, April 10, 2019 at 2:00 p.m. at the First Baptist Church with Dr. Art Fulks officiating. Burial will be held in Betzer Cemetery, Carroll, Ohio. Friends may visit Tuesday from 4-8 p.m. at the FRANK E. SMITH FUNERAL HOME, 405 N. COLUMBUS ST., LANCASTER, OHIO 43130 and 1 hour prior to the service at the church on Wednesday. Memorial gifts may be given to the First Baptist Church, 1950 Pleasantville Rd., Lancaster, Ohio 43130.